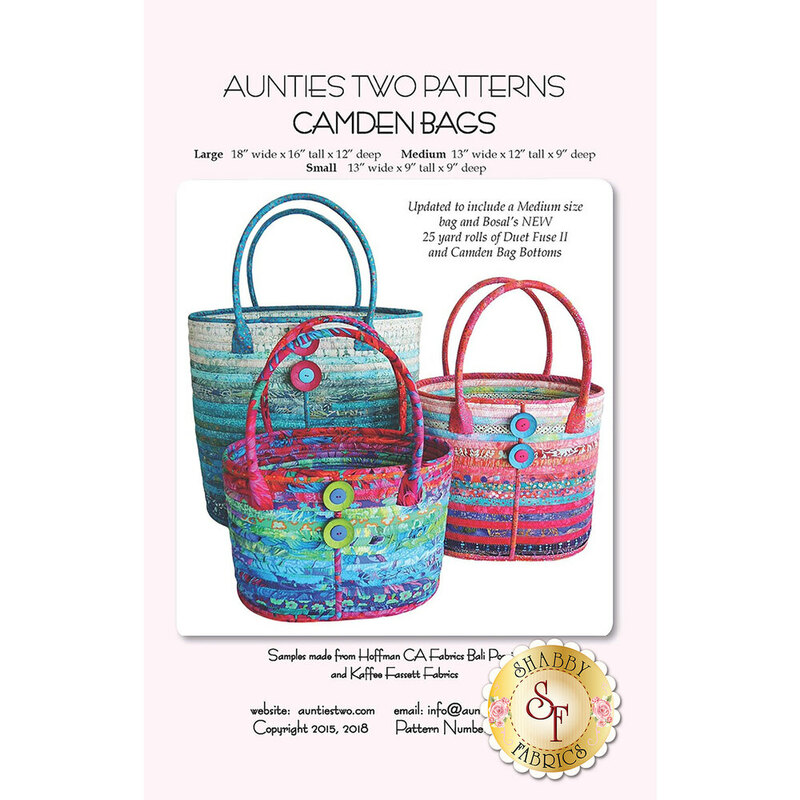 Create a tote you'll love or even a one of a kind gift for a friend with the Camden bags pattern from Aunties Two Patterns! 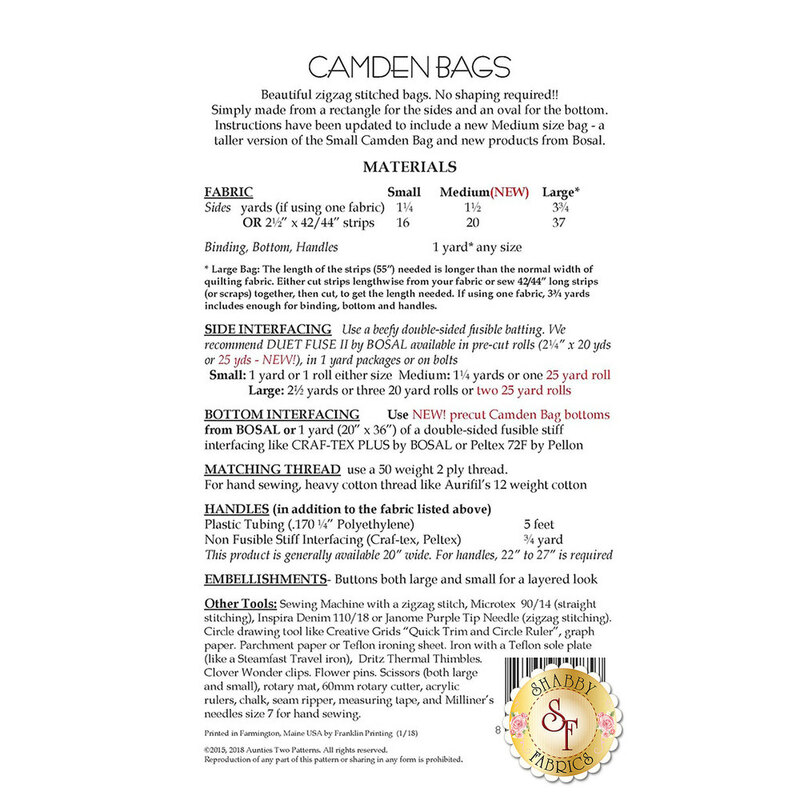 No shapping is required for these bags, they are simply made from a rectangle for the sides and an oval for the bottom. These bags are available in three different sizes - Large 18"W x 16"T x 12"D, Medium 13"W x 12"T x 9"D, and Small 13"W x 9"T x 9"D.